Generally parasitic on Asteraceae; the Michigan collections are both on Helianthus and were made by H. S. Pepoon in 1903 (Cass Co.) and 1906 (Berrien Co.). This is a large-flowered species, the flowers ca. 4–5 (–6) mm long. MICHIGAN FLORA ONLINE. A. A. Reznicek, E. G. Voss, & B. S. Walters. February 2011. University of Michigan. Web. 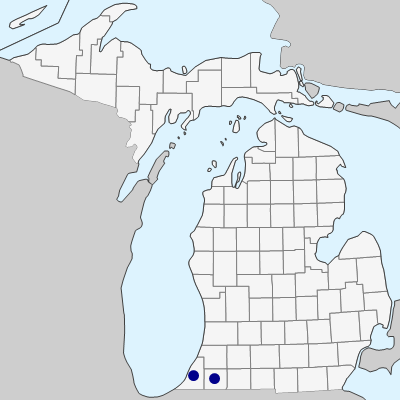 April 20, 2019. https://michiganflora.net/species.aspx?id=854.